They say the devil is in the details. This means a disaster is lurking somewhere within your website. And, you are likely to overlook it if you aren’t careful. To help you avoid becoming the next victim of dastardly details, we’ve compiled a few common oversights that can kill your business. It’s all about getting back to the basics to establish a fresh and functional ecommerce website. How many pages do your shoppers have to click through to complete their orders? Just one? Up to five? If you haven’t asked yourself this question before, it’s time you paid attention. This is more important than you might think. Cart abandonment is the bane of the ecommerce industry. In case you are unfamiliar with this term, cart abandonment is what happens when a shopper gets the end of the sales cycle and bails at the last moment. There are plenty of reasons this can happen. Maybe your shipping costs are higher than the shopper anticipated. Maybe the user just got distracted and hopes to come back later. Or perhaps there are simply too many things happening in your checkout process and they’re thwarting your sales. A well-organized ecommerce website anticipates customers’ needs. This is actually pretty easy to accomplish, once you think about it. All you have to do is see your website from your shoppers’ point of view. What are the common questions one might ask when they arrive at your homepage? They might want to learn more about your brand; or maybe they want to find your contact information. Important features such as your “About Us”, FAQ and contact pages should be findable via the top banner. A customer should never have to take more than a few seconds to find these essentials. Then again, your shoppers might want to peruse your merchandise without delay. Include product categories that make sense for your industry. There are innumerable ways to categorize your merchandise. If you are selling clothing you could split things up by gender, age group, tops and bottoms, color, etc. But what do your customers want? What strategy best matches their expectations? If you aren’t entirely sure, try asking them. A short questionnaire via email or following checkout is a quick way to get feedback on your site. You can also peek in on your competitors to see how they’ve organized their sites. Certain trends might pop out at you. It never hurts to gather intel on your rivals. If you are a savvy ecommerce vendor, you know big beautiful images are key to selling your merchandise. Consumers love high-definition photos of models using and enjoying your products; product images from multiple angles; and seeing the product in multiple colors. Unfortunately, the more images you add, the longer it can take your website to load. Meanwhile, slow load times drive customers away. So, what’s a vendor to do? Before you start deleting photographs, take a moment to learn how to compress your images for faster load times. This simple tip will ensure quicker page loading, while retaining the quality of your images. Some site builders even include this functionality. If you are shopping around for a new site builder, start by leveraging an enterprise ecommerce solutions compariso n to see if this innovation is included. Last but not least, you’ll want to find a way to put shoppers back into the sales cycle. This can be done in a few ways. The first is to include a social media button on every page of your website in a highly visible location. Urge your customers to follow you to catch up on the latest products releases and sales. Similarly, you should encourage them to sign up for your email subscription list to enjoy exclusive coupons and discounts. These voluntarily marketing schemes are easy to employ because shoppers want to hear from your brand. It’s a low-pressure way to follow up with your buyers in hopes of turning them into lifelong customers. These are just a few of the basics. 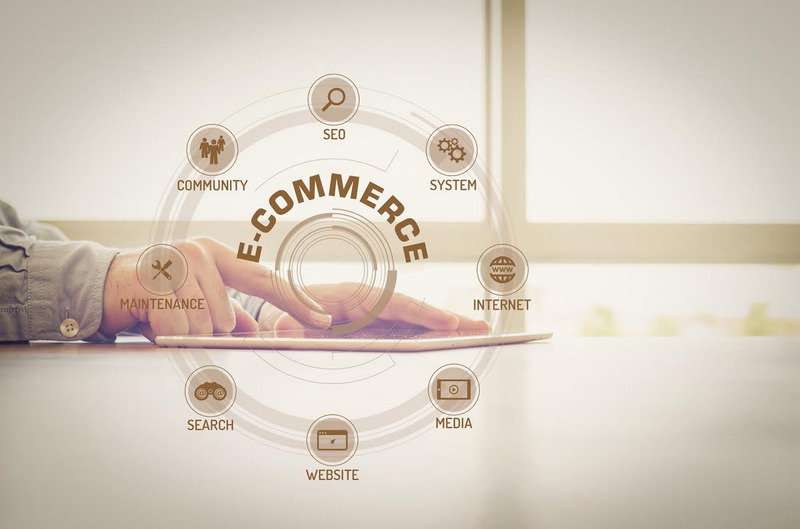 But whether you’ve been in the game for five-plus years or just a few months, these tips should aid you in your efforts toward establishing a functional ecommerce site.